T-Mobile’s delayed US home TV service is due to launch in the first half of this year, the company confirmed on its fourth quarter 2018 earnings call. Responding to a question about the company’s TV strategy, chief operating officer Mike Sievert said T-Mobile is “quality-driven”, not “date-driven,” adding that its TV service rollout is closely tied to its home broadband strategy. “Those two can operate independently of each other, but they really operate well in concert in our future plans – particularly in the context of the New T-Mobile where we have very ambitious home broadband plans,” he said. Also speaking on the call, T-Mobile CEO John Legere said that the company would start to pilot home broadband offers in 2019 using 4G LTE and later 5G, with plans to offer broadband to 52% of US zip codes. 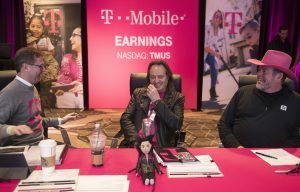 Initially T-Mobile will be testing its broadband and TV services separately, but Legere said that the ultimate strategy is for home TV and home broadband to be a “blended go-to-market approach”. T-Mobile’s TV service was originally due to launch in late 2018 and will be powered by Layer3, the TV technology company it acquired in December 2017. Sievert said that T-Mobile is getting “great learnings” from customers in four cities where it has already launched a predecessor product under the Layer3 TV brand. It plans to use this feedback to add improvements before rebranding and rolling it out as its home TV offering. At the time of its Layer3 takeover, T-Mobile announced plans for a “disruptive new TV service” aimed at people who are “tired of all the BS that comes bundled with big cable and satellite TV”.